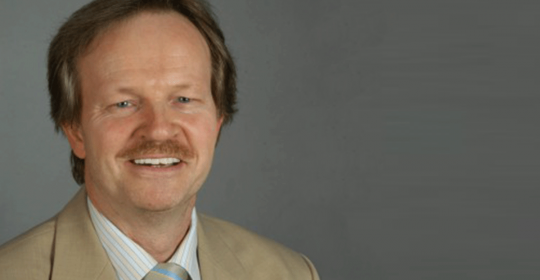 Dr. Hartmut Herbert Kollikowski is a German Neurologist and Psychiatrist with German Board Certification in both Specialties granted him by the German Medical Chamber of Physicians. From 1985 to 1989, Dr. Kollikowski completed the main part of his specialisation in Neurology (Prof. Lehmann) and Psychiatry (Prof. Gastpar) at the University Clinic of Essen, Germany. Dr. Kollikowski achieved additional qualifications in Acupuncture, Homeopathy, Naturopathy and was instructed in Autogenic Training. Dr. Kollikowski paid study visits to the Neurophysiological Units at the University Departments of Clinical Neurology (Prof. Mumenthaler) in Berne, Inselspital, Switzerland (1986 and 1987) and Oxford, Radcliffe Infirmary (Prof. Newsom-Davis; Dr. K. R. Mills), United Kingdom (August 1988). In Oxford, Dr. Kollikowski took part in the Neurology Grand Round at the hospital and gave a guest lecture on chronic borrelia encephalomyeloradiculitis. This case report was published in the Journal of Neurology (1988). In February 2007, Dr. Kollikowski accomplished an attachment to the Department of Clinical and Experimental Epilepsy at the University College London (Prof. Duncan, Prof. Sander) (UCL) Institute of Neurology and paid a visit to the Chalfont Centre for Epilepsy. Dr. Kollikowski is an Overseas Fellow of The Royal Society of Medicine in London. From October 1990 to end of March 2018, Dr. Kollikowski was practice-based in the Rhine-Sieg area in Germany and worked as a Specialist in Neurology and Psychiatry in his own rather large specialist out-patients practice in Troisdorf near Cologne. After handing the practice over to the successors (two Specialists in Neurology) on April 1st 2018, Dr. Kollikowski is now working as a medical expert (Specialist in Neurology and Psychiatry) in the Rhine-Sieg area. Main topics of his professional work comprised diagnosis and treatment of neurological and psychiatric diseases such as epilepsy, headaches, Parkinson`s disease, multiple sclerosis, stroke as well as stress, sleep, depressive, psychotic and neurotic disorders. Dr. Kollikowski focussed his special interest on epilepsy, headaches and vascular diseases. Dr. Kollikowski is a Member of the German Neurological Society, the German Society for Psychiatry, Psychotherapy and Neurosciences as well as the German Society for Epileptology and the German Section of the International Federation of Clinical Neurophysiology. In 1989, Dr. Kollikowski invented a learning aid for the training of EEG assistants. This is a device designed to place correctly the electrodes for EEG recordings. This patented invention called “EEG Training Head”, “Encephalocap 10-20”, was presented at the World Fair for Invention “EUREKA” in Brussels in November 1990. For the “EEG Training Head” Dr. Kollikowski was honoured by BRUSSELS EUREKA with the DIPLOMA IN RECOGNITION OF SPECIAL ACHIEVEMENT AND MERIT. Furthermore, Dr. Kollikowski was awarded the SILVER MEDAL OF MERIT by the AUSTRIAN ALBERT SCHWEITZER SOCIETY in VIENNA. Since May 2007 Dr. Kollikowski has actively participated as a Mentor in the Mentor/ Mentee Programme (mentoring of a medical student) at his former scholarship foundation, the Friedrich-Ebert-Stiftung (FES) in Bonn, Germany. In November 2008 and March 2009, Dr. Kollikowski attended introductory Arabic language courses at the adult education centre in Cologne.